The lightweight Flux GS snowboard binding is Flux’s high-end offering in the women’s line up. 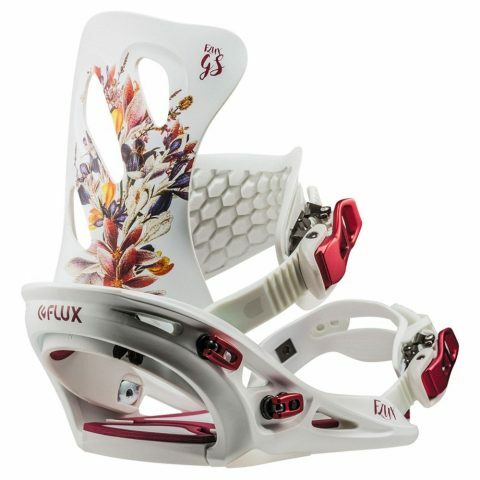 Built for those who charge hard over the entire mountain, the Flux GS has the features to match. The Ultima wing highback provides more support for leaning into the turn with a shorter height to avoid cuff bite. The Vogue baseplate features a natural flex and the FooTon material prevents snow buildup and provides a more direct board feel with plenty of cushioning.